Despite last-minute lobbying by Iran, delegates at a key meeting of the International Atomic Energy Agency agreed Thursday on a toughly worded censure of Tehran's lack of full cooperation with an IAEA probe of its suspect activities, said diplomats. The diplomats, who spoke to the AP on condition of anonymity, said the resolution would be submitted to the IAEA board of governors' meeting later in the day. The conference then would debate it Friday ahead of likely passage. Iran on Thursday forced the head of the agency to acknowledge that he erred at least once in a report accusing Tehran of trying to cover its tracks about its covert nuclear activities. Still, the text agreed on Thursday afternoon remained toughly worded with only a few minor changes calculated to appease nonaligned countries allied with Tehran. The resolution text, written by France, Britain and Germany and being considered at a weeklong 35-nation IAEA board of governors meeting, does not directly threaten sanctions but was meant to keep pressure on Tehran. Iran denies being uncooperative and rejects U.S. allegations its nuclear program is a smoke screen for making weapons. The flap Thursday was over report by IAEA head Mohamed ElBaradei that is critical of Iran for what it says is withheld or contradictory information about its nuclear program. One instance cited in the report was the purchase of 150 magnets for P-2 centrifuges that Iran was found to have worked on secretly. The report also said Iran had inquired about buying thousands of such magnets on the black market — substantially more than needed for what Tehran says was a research program never meant to enrich uranium. On Thursday, ElBaradei acknowledged his agency had erred in not noting one of its inspectors was informed about the purchase of 150 magnets. But he said Iran actually had asked a black market supplier about the possibility of buying "100,000" magnets. "How would that square with an R and D (research and development) program?" he asked, reflecting the skepticism raised by such interest on the part of Iran. Iran's chief delegate insisted that the admission showed his country was honest in its dealings with the agency. "The reality is … that we informed the agency," Hossein Mousavian said. "It shows Iranian information has been full, with no contradictory … information." ElBaradei told reporters that the "lack of clarity" on Iran's part on its P-2 centrifuge program and other suspect activities continued to hamper his agency's probe. A senior agency official told IAEA board members last week that Iran had inquired about "tens of thousands" of magnets that would equip thousands of centrifuges producing enough enriched uranium to make several nuclear weapons a year. Centrifuges are used to separate different isotopes of uranium according to their atomic weight — the number of subatomic particles molecules of the isotope contain. One of uranium's isotopes is useful for nuclear fission, and by separating it from other uranium isotopes, scientists can increase the concentration of the fissionable isotope in a particular batch of uranium. This is called enrichment. Enrichment can be used to produce power — which is what Iran says it is interested in — or bombs. "We still have no concrete proof that this has a military dimension but we are still are not in a position to say that this is exclusively for peaceful purposes," ElBaradei said, calling on Iran for more "proactive cooperation (and) transparency." He suggested the draft resolution reflects his views in "calling on Iran to accelerate cooperation," and in "making the point that … we cannot continue forever." "I need to bring … (the Iran) issue to a close one way or another in the next few months," he said. Delegates, who spoke separately on condition of anonymity, said the omission by the agency did not affect the general feeling within the IAEA and most of the board delegations that Iran had not fully cooperated with the yearlong probe. In comments to the closed board meeting made available to reporters, IAEA Deputy Director General Pierre Goldschmidt noted the error occurred because Iran neglected to include the purchases in written submissions to the agency, although one of its official told an agency inspector about it in a tape-recorded conversation. Chief U.S. delegate Kenneth Brill said the revelation did not change the fact that "the information Iran provides is contradictory" in many cases. Delegations, meanwhile, continued to fine-tune the draft. Diplomats said it would likely remain strongly worded, with key passages expressing "concern" and "serious concern" about Iran's foot-dragging — although other language could be modified. "There might be further changes, but the key thing for Iran to know is that our eyes continue to be on them," a senior diplomat from a board member nation said. Since the probe's start, Iran has suspended its uranium enrichment program but refused to scrap it altogether and on Wednesday, Iranian President Mohammad Khatami suggested that enrichment could resume if the IAEA resolution is too harsh. 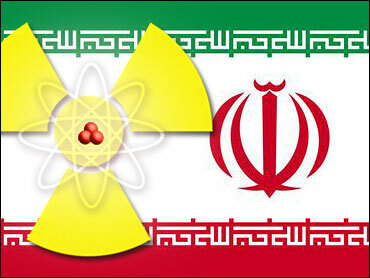 Iran maintains that under the Nuclear Nonproliferation Treaty, it has a legitimate right to pursue a peaceful nuclear program, including enrichment. Other than the true purpose of Iran's centrifuge program the second main agency concern is the origins of traces of enriched uranium — some of them at the high levels used to make warheads. Iran says those minute finds were not domestically produced but inadvertently imported in purchases through the nuclear black market.